The tech thriller deals with relevant topics like privacy, ethics and, most important, freedom Mae Holland played by Emma Watson lands a dream job at a powerful tech company called The Circle, while engaging herself into experiments that would change the world around her. The tech thriller deals with relevant topics like privacy, ethics and, most important, freedom. In this interview, Emma lets us in on the plot, her experience on working with James Ponsoldt and Tom Hanks and more. 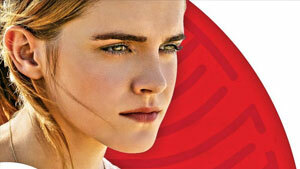 Watch The Circle on June 21 at 4 p.m. on Sony PIX. Q Tell us something about your character ‘Mae’ and where do we find her at the beginning of the movie? I think, Mae finds herself having her heart with these big dreams and ambitions. She’s like Wow! I am 26, I am living with my parents, and they don’t have enough money to pay for health insurance. I am working at a job that doesn’t challenge me. So, is this my life? Is this that is everything to my life? And when Annie, her friend offers her the chance to have a job interview at The Circle, that’s her ticket, her getaway, her chance to be able to take care of her family and it brings a sense of powerlessness in her life. Somehow, The Circle gives her the sense of autonomy, control and also hope for her future. It’s a very powerful promise that the circle gives her. Q What do you think about the expectations The Circle puts on its employees? The expectations of the employees at The Circle are that everything about their life will be shared. Their extracurricular activities or socialising that they would do in their normal life has to happen at The Circle, because it has really found a way to commodify or commercialise every aspect of people’s personal lives. So, all of that data and all of that spending money, all of that content and information sharing, they want to happen at their workplace. It becomes a very claustrophobic environment very quickly. Q Will quickly ask you about your work experience with co-actors from the movie - Your thoughts on working with James Ponsoldt? James Ponsoldt, our wonderful director is an incredibly sensitive and intelligent man. He is really passionate about this story and very collaborative. It was just lovely working with him. Q Your thoughts on working with Tom Hanks? Getting to act with Tom Hanks in any scene is a bit of a dream. Anytime the three of us were together, it was fun to kind of have that dynamic. Q Do you think the story is timeless? I think, it’s about today’s society. It’s not a dystopian future, that’s a long way off. This is a story that could be happening now. I think it’s incredibly topical and speaks to this moment, now. Q What are your hopes for the film and audience? I think what’s interesting about our film is that, it’s not there to preach or give a particular perspective on it. But, it just forces the audience to ask questions to themselves which according to me is the key. What’s difficult about the situation we are now in, is that we give our information away so freely without much thought anymore and people will think about these questions more, having seen the film.